Although a decade and a half has passed, Hungary's transition from state socialísm to capitalism and the switchover to market economy and democracy are far from being a closed issue for anyone striving to understand economic, social, political and spatial processes in the early years of the 21 st century and place them in the current global processes of transformation. How long will it take for a society that is, with respect to its operation, ridden with all the problems of transition to produce spatial forms that are not simply different from their former socialist counterparts, but expressly capitalistic, i.e. for spatial processes to pass through the stage of transition, in a new system of parliamentary democracy and under the conditions of market economy? If there exists `postsocialist' production of space, what are its characteristics and what are the characteristics of its end-products? 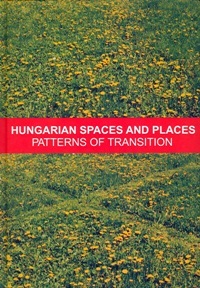 Seeking an answer to these and similar questions, this book, adopting two approaches, provides an outline of a few aspects of the spatial context of transition, while offering a new dimension to contemporary politological, sociological and economic research in Hungary and, in part, East Central Europe: 20 chapters in the first three parts are devoted to some spatial aspects, the geography and direct and indirect spatial impacts of (regfonal) political, economic and social transitions, 13 chapters in the next two parts focus on spatial processes themselves, taking stock of new changing patterns of spaces, places and uneven development in Hungary.